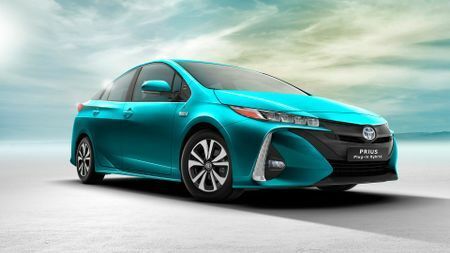 Toyota has unveiled the plug-in version of its Prius hybrid at the New York Auto Show. Based on the latest Prius, which was launched earlier this year, the second-generation plug-in provides significantly better performance and economy. At the heart of the plug-in is a similar petrol/electric drivetrain to that in the regular Prius, but with the crucial difference that this new model has a larger battery, which Toyota says it will take less than two and a half hours to fully charge. The result is that the can drive further on electric power alone. In fact, it can go around twice as far as the previous-generation plug-in Prius in electric mode – about 31 miles – and can be driven at speeds of up to 84mph without engaging the 1.8-litre petrol engine. As with every Toyota hybrid, the car can operate in a variety of modes, either using the petrol engine and electric motor together or using the electric motor alone. With regenerative braking (using the energy lost when the car slows to charge the battery), a solar charging system on the roof and much-improved efficiency over the previous model, the car has CO2 emissions of just 32g/km and average economy of more than 200mpg - figures which Toyota claims are the best of any current plug-in hybrid. 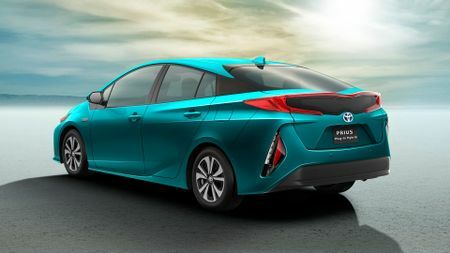 At first sight, the new plug-in looks very similar to the new Prius – longer, wider and lower to the ground than the previous-generation car – but its unique lights mean it does have a distinct look within the Prius range. Inside, the plug-in shares much of its look and equipment with the regular Prius, including the latest technology, such as a head-up display, wireless phone charging and Intelligent Parking Assist. The plug-in Prius will also be offered with Toyota’s Safety Sense system that incorporates autonomous braking, lane departure warning, and Blind Spot warning. Toyota says the new car will go on sale at the end of the year, when its exact specification will be confirmed. Likewise, there is no word yet on how much it will cost, but if it follows the example of the previous-generation model, the new plug-in hybrid will be several thousand pounds dearer than the standard hybrid. Interested in buying a Toyota Prius? Coming soon: the next Fiat Panda? Is the Alcraft GT Britain’s next electric car?